President Abdelaziz Bouteflika will surrender power to future elected Algerian President, Foreign Minister and Vice-Prime Minister has told Russia, reports say. Algeria has been embroiled in political crisis since February after country’s leader, Bouteflika announced his plans for a fifth term in office. The oil-rich country has witnessed repeated massive demonstrations even after the ailing President scrapped his plans and announced a political transition while postponing the April 18 elections. 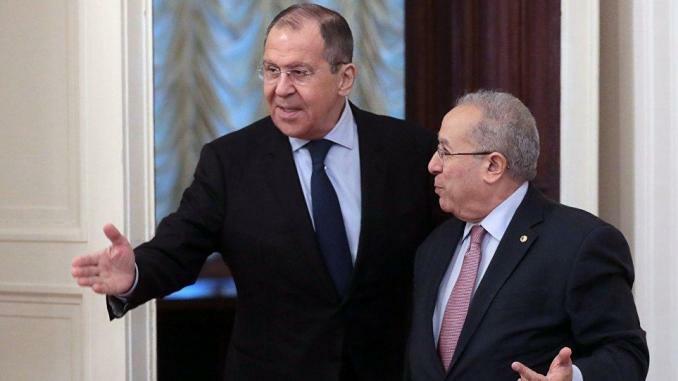 Visiting Russia Tuesday, Foreign Minister who also doubles as Vice-Prime Minister Ramtane Lamara told Russian authorities that 82-year old Bouteflika will hand over power to Algeria’s future President. 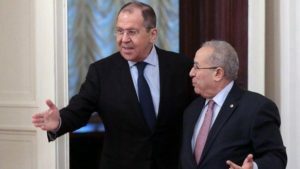 Lamara speaking at joint press conference with his Sergei Lavrov, said that Bouteflika will not run for the elections. The President withdrew his candidacy as result of mounting street pressure. In a written address to the nation, the one who has been in power since 1999 said he did not intend to seek a fifth term in office and announced the postponement of the elections sine die. The move fueled Algerians’ anger who stage daily demonstrations. Algerians believe that their leader and his entourage are playing with time in view of extending his fourth term in office. Several world powers have called on the Algerian regime to set a date for the elections to defuse internal tension. Posted by Hafid El Fassy on March 21, 2019. Filed under News, Zoom. You can follow any responses to this entry through the RSS 2.0. Both comments and pings are currently closed.